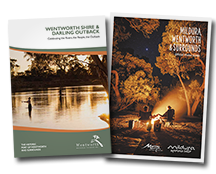 Wentworth sits on the junction of Australia’s two mightiest rivers – the Murray and the Darling. It is the administrative centre of the sprawling Wentworth Shire, one of the largest municipalities in New South Wales, encompassing an area of 26,500 square kilometres or 2,616,926 hectares. 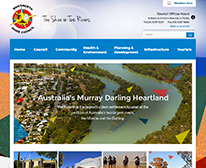 Captain Charles Sturt discovered the junction of Australia’s two mightiest river systems – the Murray and Darling – in the 1830’s paving the way for what was to become the thriving river port town of Wentworth. The overlanders followed the explorers, using the routes along the river the drive their cattle to the Adelaide markets. The trail along the Murrumbidgee and Murray Rivers became so popular it became known as the Sydney/Adelaide ‘highway’. The junction stopover at the Murray/Darling junction became an established camp known as Hawdon’s Ford. Then came the squatters, establishing illegal reign over the land along both the Darling and Murray Rivers, expanding their holdings westwards from the blossoming Murrumbidgee grazing area and, at the same time, northeast from the South Australian settlements. By the mid-1840’s the junction settlement had become “McLeod’s Crossing”, named for the first residents of the fledgling settlement. With the arrival of the river steamers in 1853, the small hamlet found itself ideally situated as an administrative and commercial centre for the untapped wealth of the vast outback. For many years Sydney and Newcastle were the only ports in New South Wales to handle more cargo than Wentworth as the steamers brought a new sophistication to the rugged river towns. They carried the hopes and dreams of the communities they served for more than three quarters of a century. 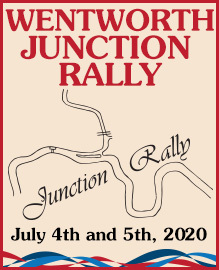 Wentworth became a town on June 21, 1859, named for the New South Wales explorer and politician William Charles Wentworth. The area was proclaimed a municipality on January 23, 1879. 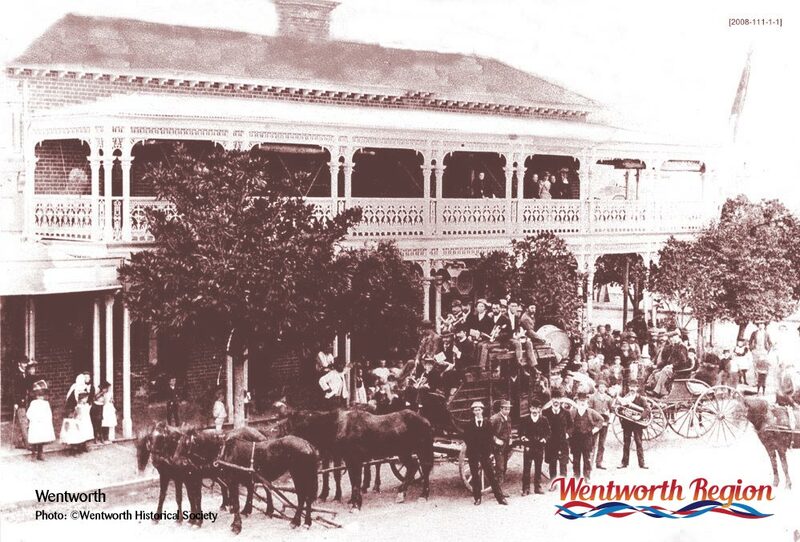 Wentworth Shire suffered extremes in fortune throughout the prosperous river trade days. The area endured flood, drought, rabbit plagues and less natural disasters like overstocking which in turn caused erosion and land degradation. Despite the odds, the area continued to thrive and grow at a reasonably rapid pace. 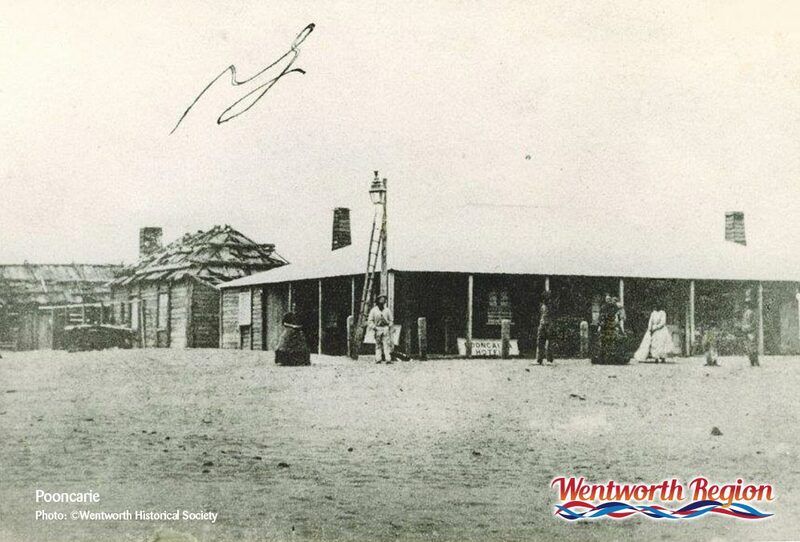 The first irrigation settlement was established at Curlwaa, seven kilometres east of Wentworth, in the late 1880’s. By 1929 a series of locks and weirs had been established on the Murray River, bringing with them a certainty of water supply that was vital for navigation and irrigation. Irrigation breathed a new life into the district and the subsequent expansion of the project led to pastoral properties being sub divided into smaller allotments (referred to as ‘blocks’). This in turn enabled a huge upsurge of development resulting in the production of high quality fruits and vegetables for which the area remains highly regarded. Noted explorer Captain Charles Sturt and his party were almost certainly the first white men to pass by the future site of Buronga during their historic exploration of the Murray River in the 1830s. After that, an increasing number of Europeans passed through, the majority overlanders (drovers) taking stock to the Adelaide markets, but others were pioneering graziers taking up the ‘vacant’ Crown Land between the Murray and the Lower Darling Rivers. Buronga, as we know it today, was part of the huge Tapio run, formed when the Federal Government decided to formalise lease rights to the land in the 1840s. Tapio was taken up in 1846 and subsequently divided into three smaller runs — Wamberra, Turlee and Tapio by owner Ben Chaffey, son of George Chaffey, one of the founding fathers of the Mildura irrigation settlement. The Western Lands Board set aside land for a temporary common and future public purposes in the early 1900’s, but it was the continuing irrigation land allocations on the Victorian side that forced many people to settle as squatters on the New South Wales bank of the Murray River. Opposite the bustling river port of Mildura, the vacant Buronga area became home to those unable to afford to live on the Victorian side. The squatters’ river environment provided plenty of wood, water and a continuous, free supply of fat ducks, fish and river crayfish, while their ‘humpy’ (crude shack) homes dotted the riverbank. 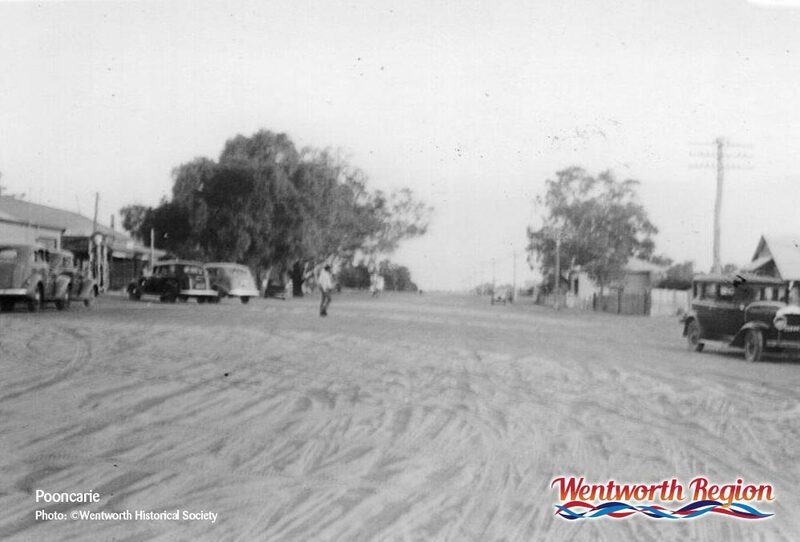 Originally known as ‘Hendy Town’ and later ‘Mildura Bridge, NSW’, Buronga didn’t really start to take shape until the1930’s when the Western Lands Commission officially named it. The catalyst was increased road traffic along what was to become the Sturt Highway. However, in those early days, it was little more than a rutted track used as a stock route, for local travel and as the route for the thrice-weekly mail service, from Euston through to Wentworth. Residential development was greatly accelerated by the arrival of electricity in 1951 and reticulated water in 1955. Streets were formalised and named about the same time. Buronga had a reputation as a rough and ready place in the early days, but has since grown and prospered as the arable land around has been developed. Gol Gol was proclaimed a township in 1866; however, the village allotments did not begin to be occupied until the late 1870’s. Located on the Murray, the town is historically significant because it was once an important coach stop. 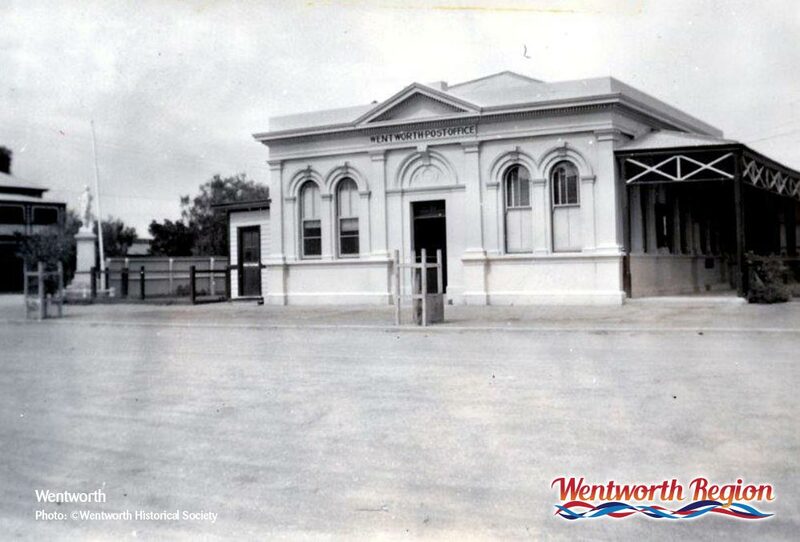 Coaches were vital for communication and transport in the Wentworth Shire, with several lines operating including Cobb & Co, Burton Bros, Charters Bros, Kidman Nichols, McMahon and John Hill & Co. 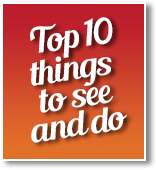 The regular coach services to Balranald, Swan Hill, Echuca, Wilcannia, Blanchetown and Mannum were connected at different points to those servicing Melbourne, Sydney and Adelaide. The coach services were also the carriers of the Royal Mail and during the dry months they compensated for the loss of navigable waterways for the riverboats by putting on extra services for passengers. The large common and Police paddocks adjacent to the township often held coach horses while the Gol Gol Inn was one of many established along the Murray, providing horse change, comfort and accommodation facilities. The Gol Gol Inn was an important change and up to 200 horses could be found on the common at any one time. It was around the inn that the town grew. 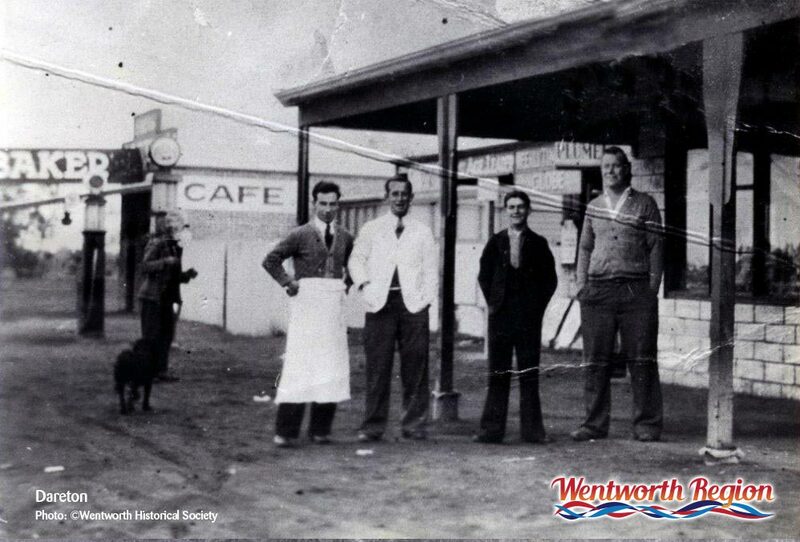 A wharf also added vitality to the township during the riverboat era, and although Gol Gol never saw as much trade as Wentworth, it was still an important port for the surrounding grazing and horticultural area. Today, Gol Gol has a rapidly expanding residential area and is a favourite among young families for the reasonable land prices, larger building blocks and convenience to all facilities, including a highly regarded primary school. It also acts as a service centre for the surrounding irrigation area with the popular riverside Gol Gol Hotel, on the site of the original inn, being a favorite meeting and eating place. There is also a general store with post office and a service station. The irrigation area was once known as ‘Nine Mile’ and owes its existence, in part, to the visionary ‘The Million Farms’ scheme that flourished following World War One. 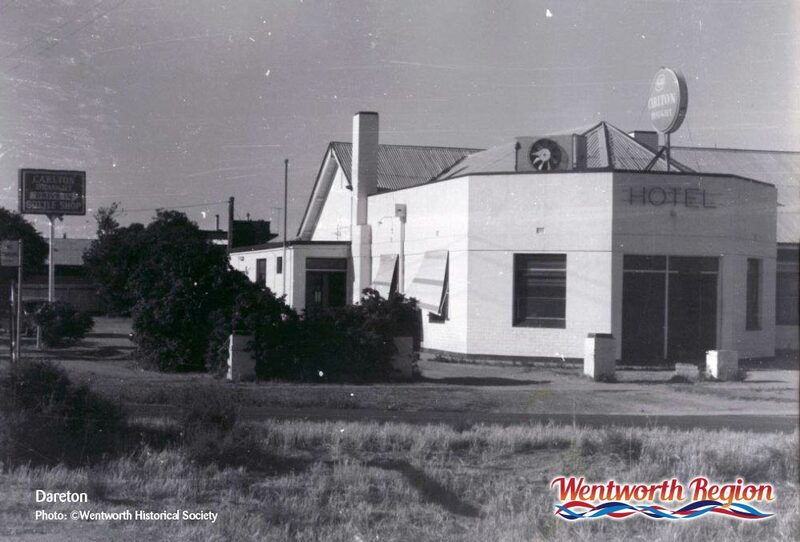 The cornerstone for Coomealla’s ambitious horticultural development was laid in 1922, when Murray Lands Advisory Committee members inspected the area and recommended an irrigation scheme be established. The company developed stone fruit and citrus orchards as well as vines. Perhaps the project was not as successful as expected, or maybe the owners wanted recoup their investment, but a decision was made to subdivide Pomona into smaller blocks and sell them off. This was about 1919. The development was after known as the Pomona Irrigation Estate. European settlement of the Pooncarie district is believed to have begun in the 1840’s when settlers headed west to illegally graze livestock on vacant Crown Land between the Murrumbidgee and Lower Darling Rivers. The settlers were following in the footsteps of explorers like Burke and Wills, and the township is believed to have been the site of the “Bilbarka” camp for that ill-fated outback discovery expedition. The pioneering settlers illegally took up the land as ‘runs’; essentially large, unfenced areas of land used to graze, or run, sheep and cattle. Landmarks, like distinctive trees, defined agreed boundaries. Fencing did not become common until the 1860’s, when the leases were formalised by the Federal Government of the day to foster pastoral settlement and give the Government more control over the area. 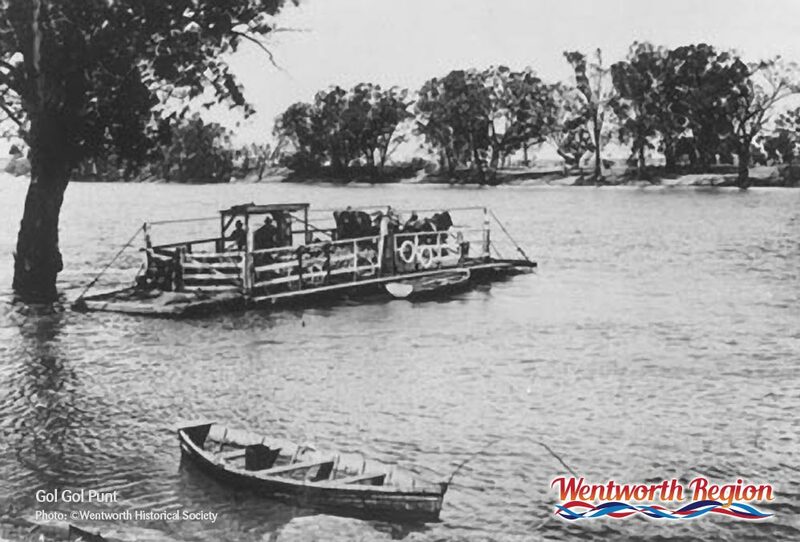 As more land was settled and the prospect of paddle steamer trade became reality, the need arose for a small service town on the Lower Darling. 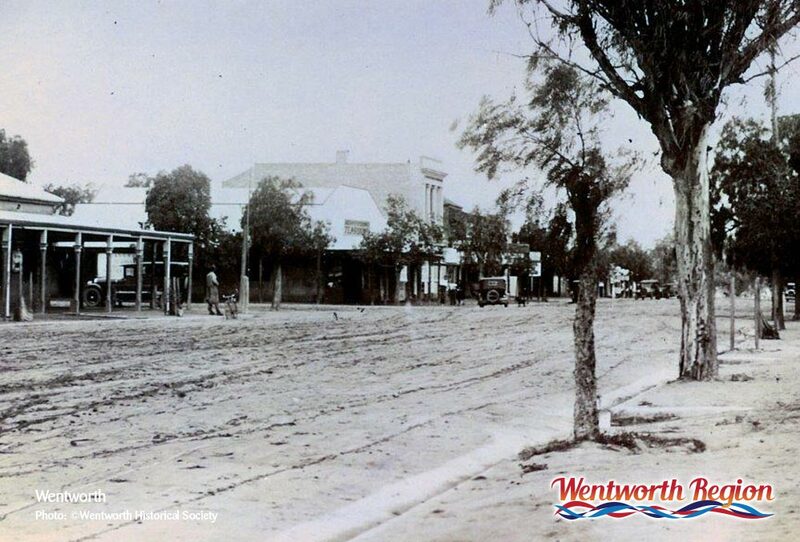 In 1862 a plan was drawn up for a village on the east bank of the river, almost midway between Menindee and Wentworth. The village was gazetted ‘Pooncaira’ on December 17, 1863. By 1889, the town had a post office, police station, a school, two hotels and a number of houses. The ‘Port of Pooncarie’ was a vital link with the outside world for the district’s grazing properties, its wharf facilities having the unique advantage of being unaffected by flooding. Built on a series of sand hills, Pooncarie had a natural two-tier wharf, accommodating steamers when the Darling River was high or low. You may have noticed the different spellings of the township/district. First it was Pooncaree when a pastoral run, then gazetted as the village Pooncaira and more recently Pooncarie. There is no definitive story to explain this anomaly, but the agreed spelling now is ‘Pooncarie’.